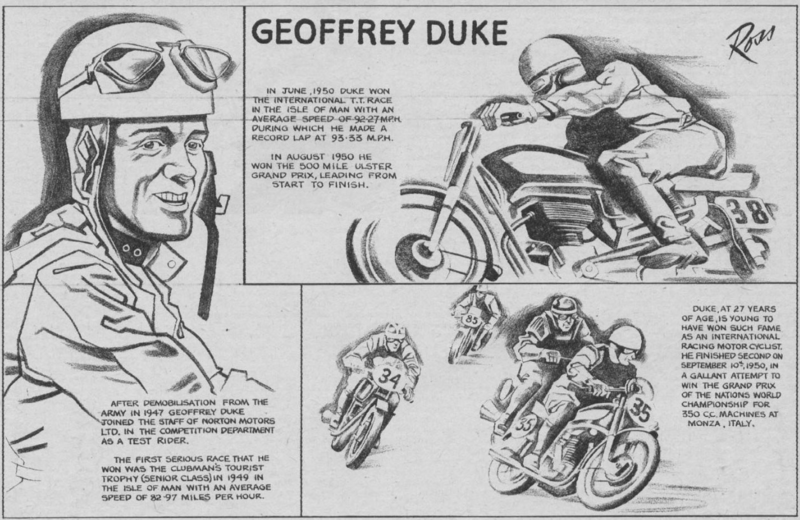 Duke was world champion six times with 33 GP wins and dominated 1950’s racing. 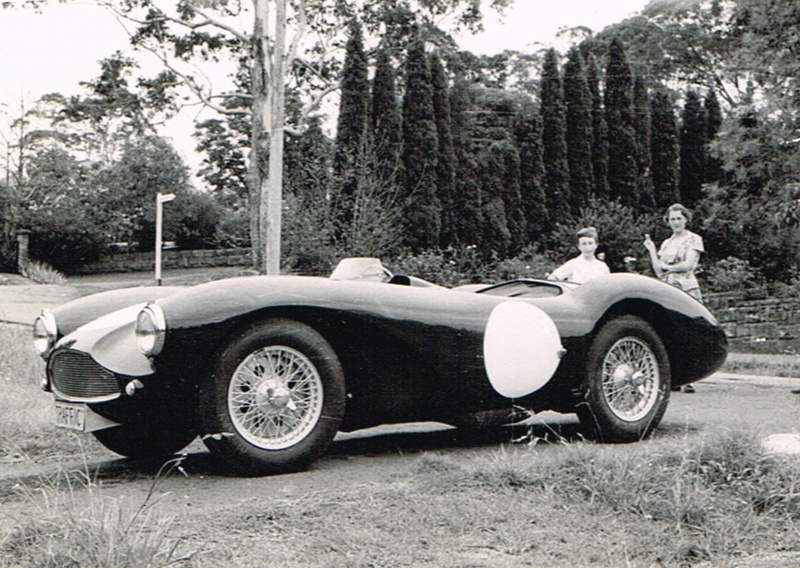 He won three of his titles on Nortons (1950/51/52). 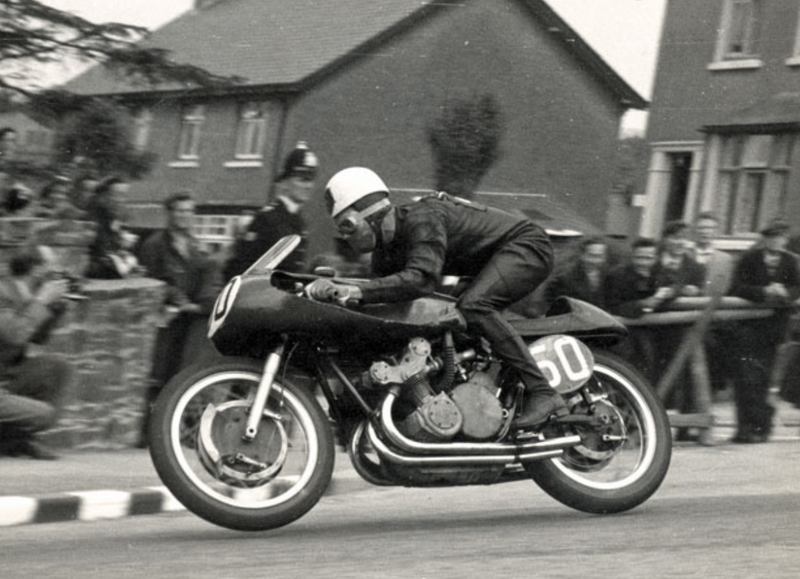 Duke’s pace was critical to Norton who were fighting to maintain competitiveness as their ‘singles’ struggled against more advanced, powerful multi-cylinder engines of the Italians and AJS at home. Their ‘Featherbed’ racing frame was at the cutting edge though. Isle of Man TT racer Harold Daniell was quoted as saying that it was like ‘riding on a featherbed’ compared to conventional racing frames. The frame featured a lower center of gravity and shorter wheelbase, combined with careful engine placement to maximise handling. 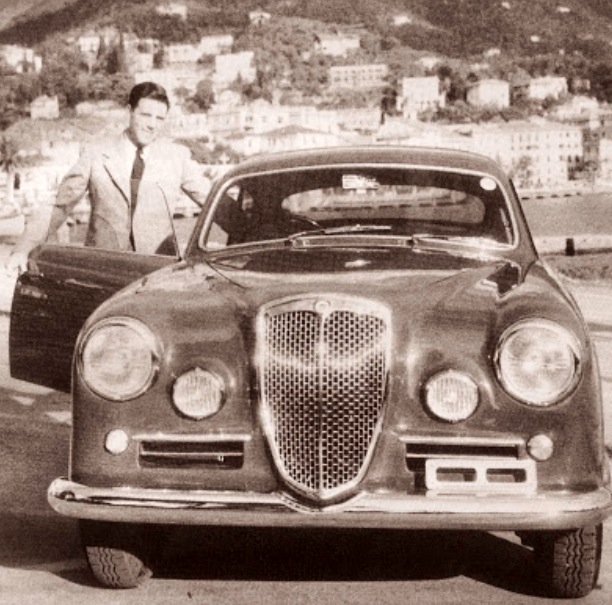 In ’53, being underpaid by Norton he moved to Gilera, the pay deal sweetened by inclusion of a new Lancia B20. 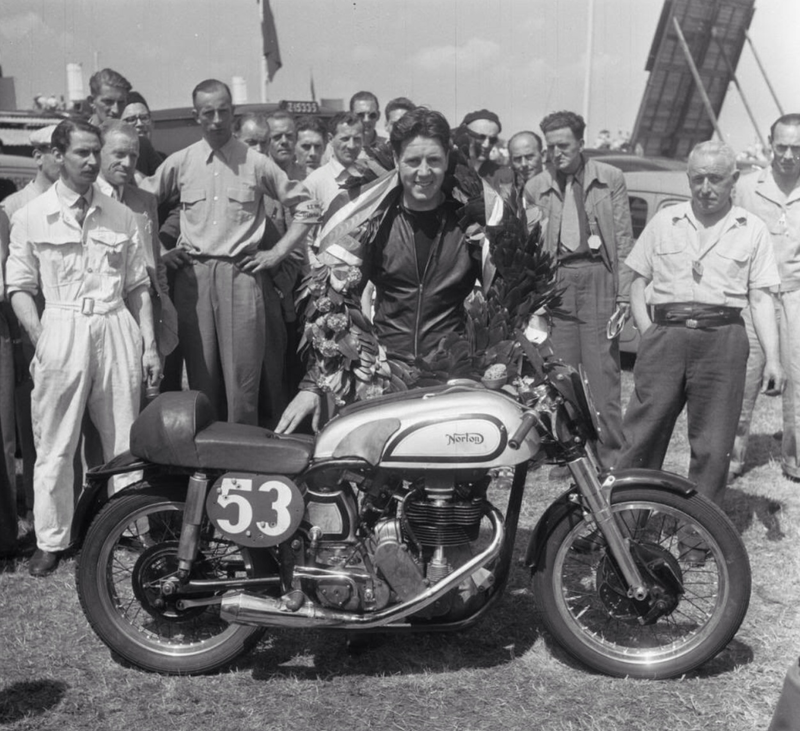 He repaid Gilera’s faith in him winning three 500 championships ‘on the trot’, from 1953-5. 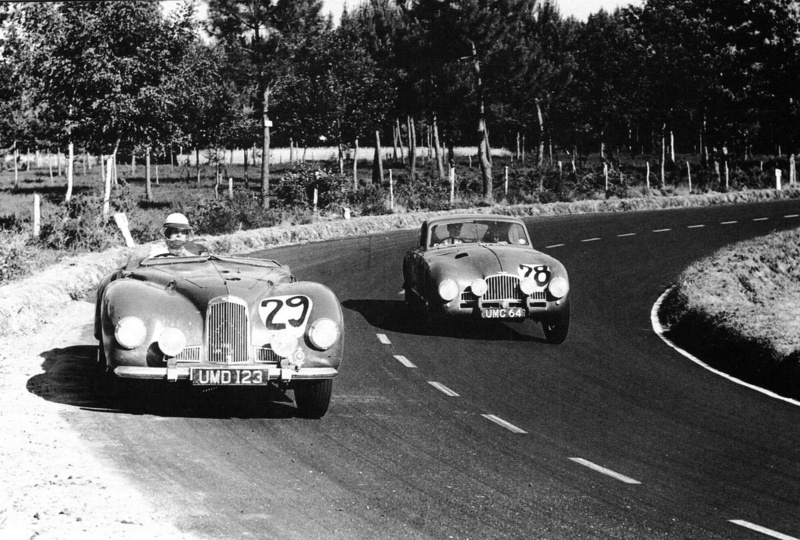 Duke also dabbled in cars, securing a podium finish in the 1952 Goodwood Easter handicap in a works Aston Martin DB3 behind 2 Jaguar XK120’s. 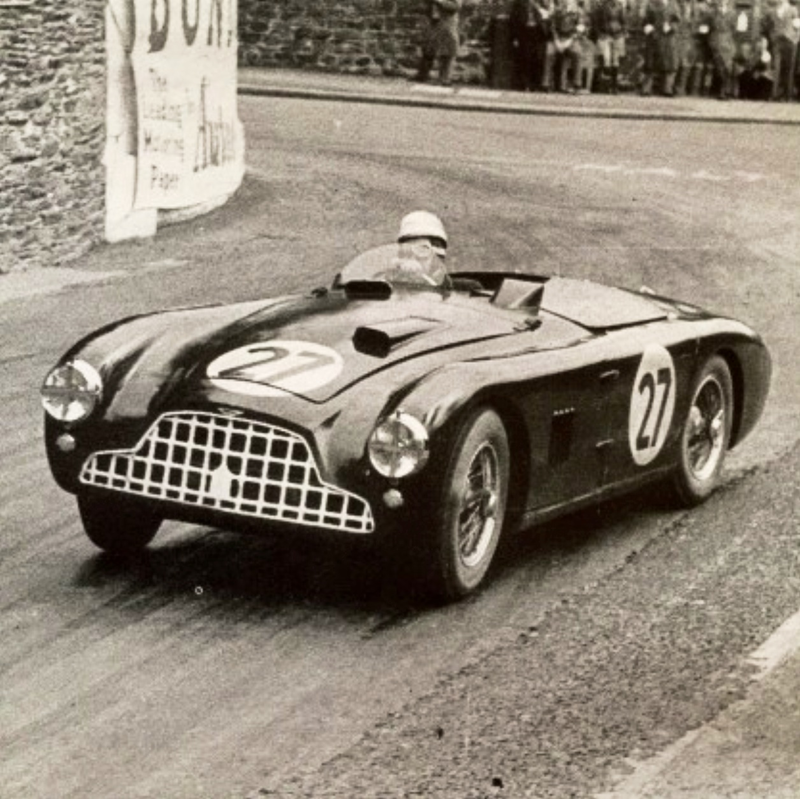 In May 1952 he and Reg Parnell contested a sports car race at Berne during the Swiss GP meeting, Duke was 4th in an Aston DB2 behind 3 factory Mercedes Benz 300SL’s, having qualified 5th but starting at the rear of the grid, having used his teammate Reg Parnell’s car in qualifying. 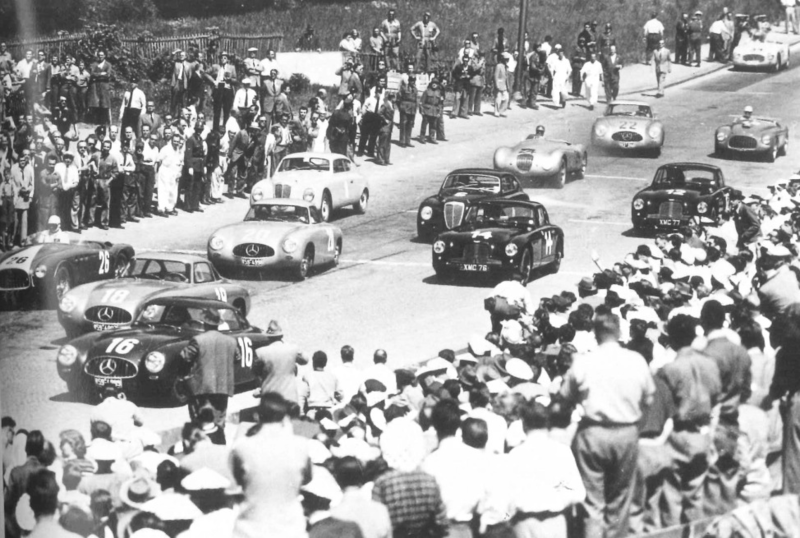 Duke’s car was the only car not to be lapped by the Mercs’ until his car lapsed onto 5 cylinders for the last 2 laps of the race. 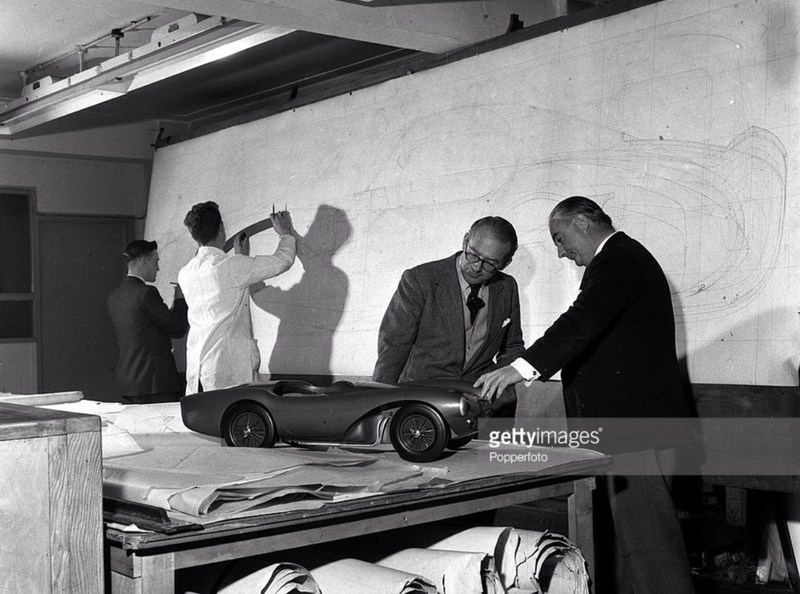 Alfred Neubauer was so impressed he offered him a Mercedes test drive on the spot, 2 years before the same offer was made to Stirling Moss. In a demonstration of his virtuosity Duke also won the 350cc Berne GP for bikes aboard his Manx Norton on the same weekend. 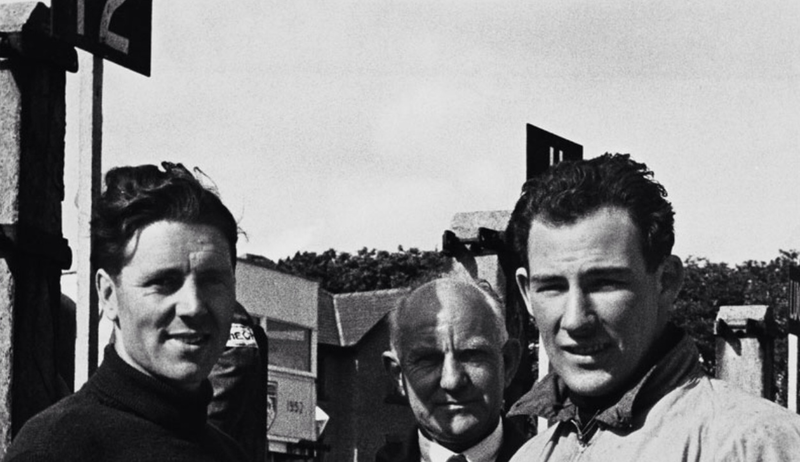 Duke was to win the Isle of Man TT 6 times, his circuit knowledge put to good effect by Astons’ who entered him in a DB3 in the British Empire Trophy race in late May 1952. 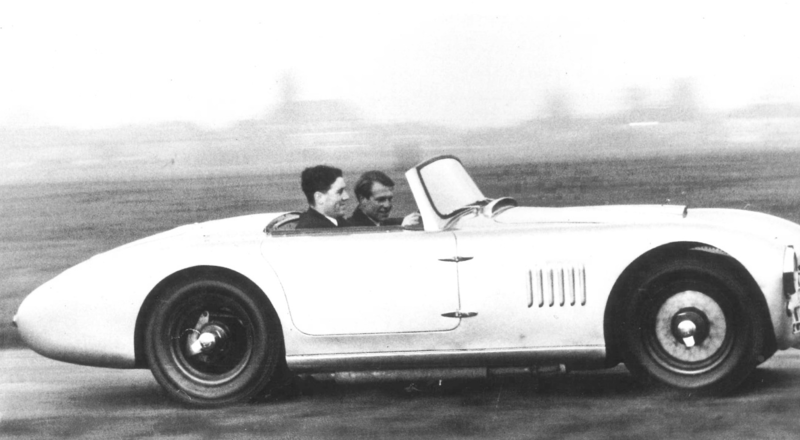 His car, DB3/1 was the 2.6 litre engined prototype which had already done considerable miles at Monthlery. Duke led for most of the race and set the fastest lap but retired with a broken crankshaft. 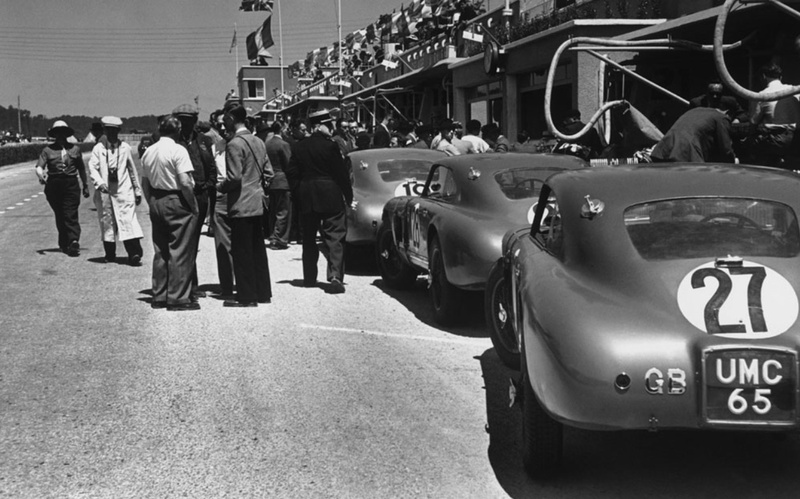 ‘Motorsport’ magazine observed that ‘His run was a fine introduction to long distance motor racing’. His 1955 World Title with Gilera was his last, he lead a riders strike over privateers pay and was then banned from racing for 6 months. 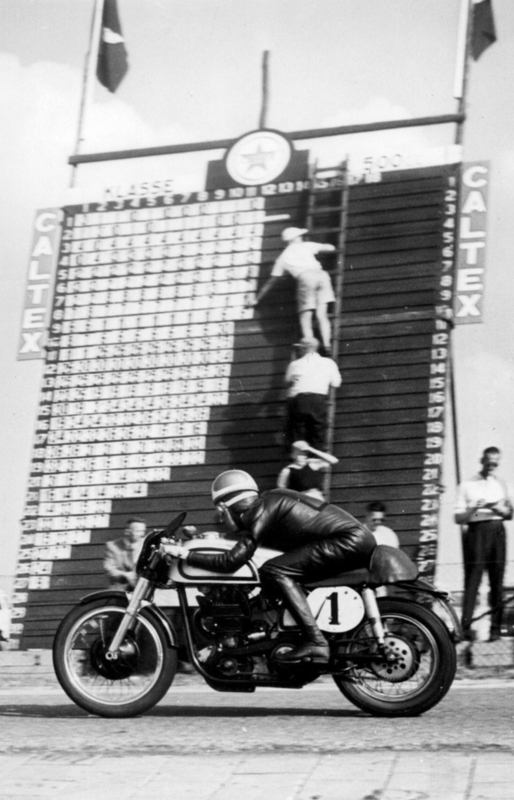 Injuries and Gileras’ withdrawal from racing interfered with the following seasons, he finally retired from ‘bikes in 1959 returning to cars one last time. 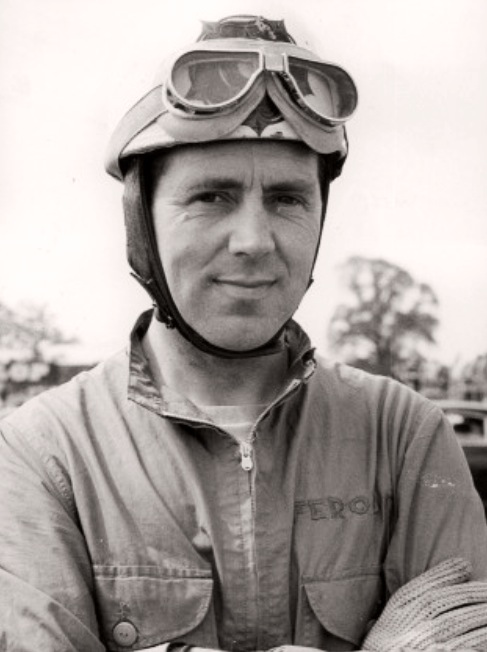 He contested several 1960 Formula Junior events in a Chequered Flag entered, front engined Gemini Mk2 Ford, his best result 7th in the International Trophy at Silverstone in May, Jim Clark won in his Lotus 18. It was a good run, future GP drivers, Jim Clark, John Surtees, Peter Arundell and Mike Spence were in front of him in mid-engined cars. He raced at the Monaco GP FJ curtain raiser in May but spun on the first lap. He qualified 10th, those in front of him included Henry Taylor, Trevor Taylor, Jim Clark, Peter Arundell and Colin Davis. 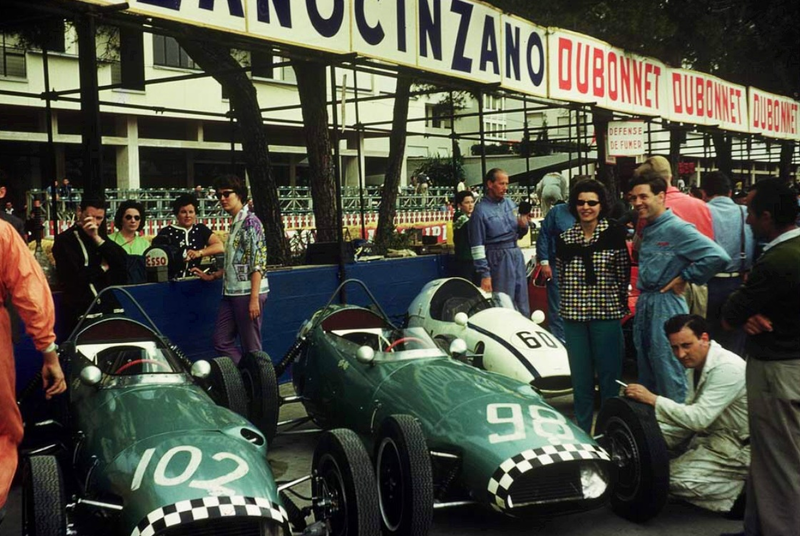 He also raced a Reg Parnell Racing Lotus 18 Climax in several later 1960 F2 events at Aintree, Snetterton and Brands Hatch in August DNF in all events. It was a sad end to a great racing career by any measure. 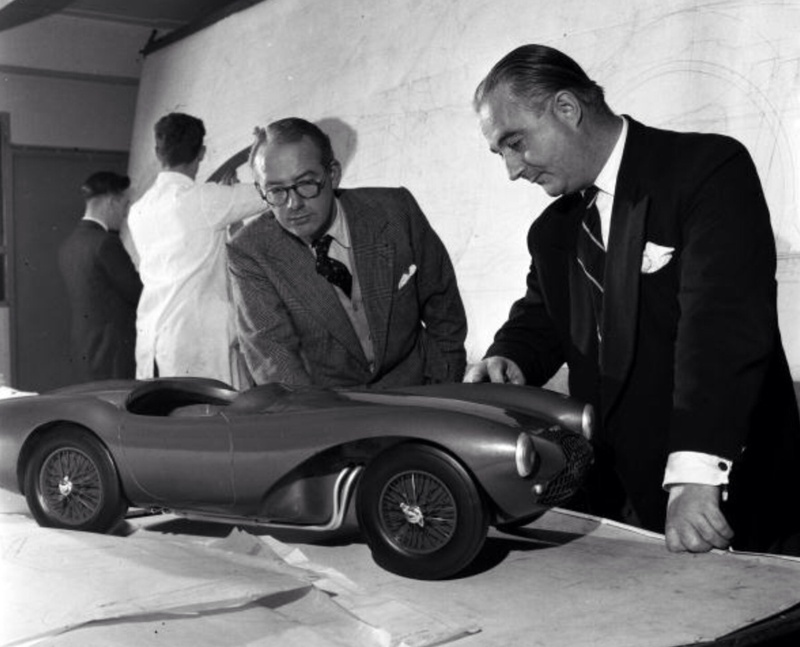 The last word on Duke’s potential in a car from Astons’/JW Automotive’s John Wyer; ‘The generally accepted judgement is that Duke was a very great motorcyclist who failed to make the transition to cars. But i maintain that i had more opportunity to evaluate him than anyone else and i am convinced he had great potential. I will always regard his early retirement from the Aston Martin team as a real loss to motor racing’. 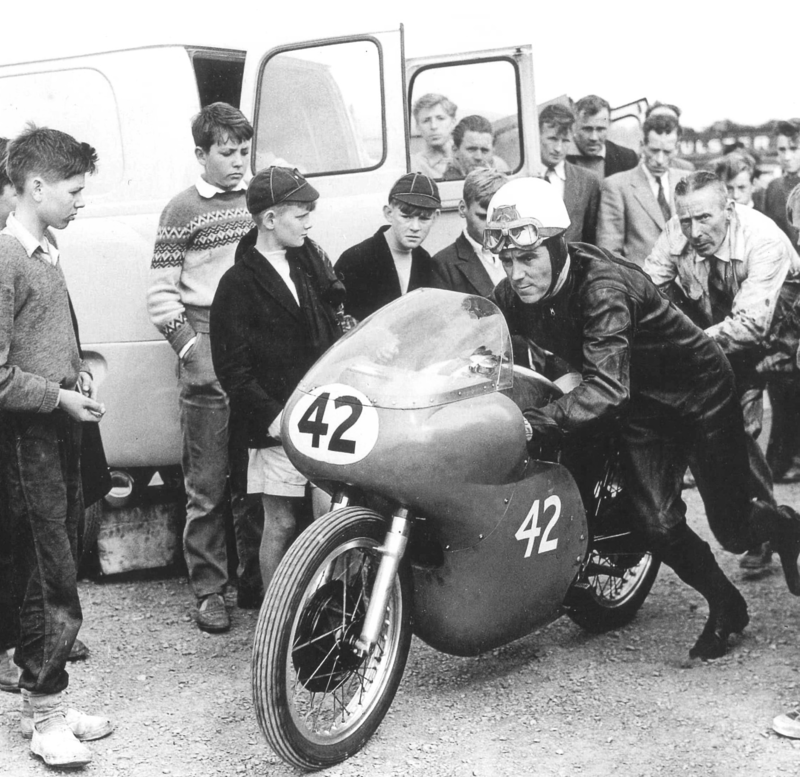 He ran his own motor cycle racing team in 1963, ‘Scuderia Duke’ running John Hartle and Derek Minter on old Gilera’s. Duke ran one of his old bikes in a demonstration at Oulton Park and was immediately quick on modern tyres. Hartle took a 500cc win at Assen but only after Mike Hailwood retired his dominant MV. It was a brave season and largely funded by Duke when promised backers withdrew. Geoff then focused successfully on a number of business interests mainly centred on The Isle of Man, where he lived, including hotels, shipping and the Duke Video company which was run by his son. He died on 1 May 2015, born 29 March 1923.